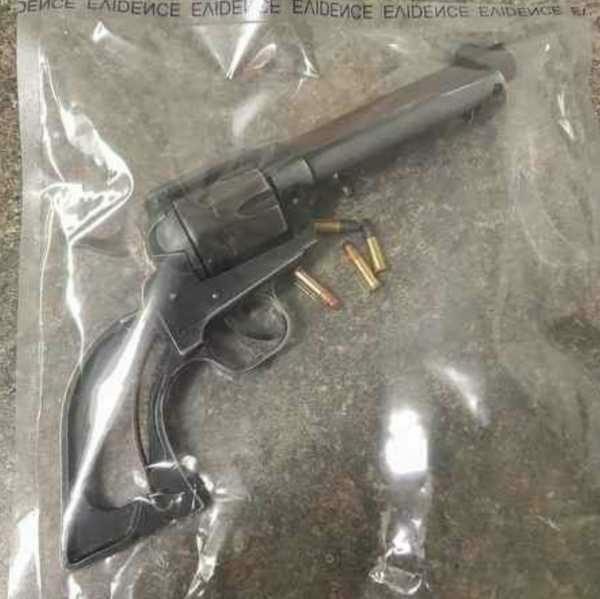 Maskwacis, Alberta – On March 12, 2019, the Maskwacis RCMP Community Response Unit (CRU) conducted a search warrant in the Samson Townsite and located a loaded revolver handgun. Around 8:00 am, CRU members made entry into a single family dwelling, where they located the handgun unsecured in a bedroom. 22 year-old Blaine Saskatchewan was arrested and charged with possession of the handgun and unsafe storage. Saskatchewan was on release conditions not to attend Maskwacis and was also charged with failing to comply with his conditions. Photo of the seized firearm is attached. Changes to Facebook means fewer people now see our posts. Please help spread the word by "sharing" our reports on your social media accounts. A charge should not be considered as evidence of guilt. In Canada, all persons are considered innocent until proven guilty in a court of law. All reports are written by police media departments. Sometimes CaPR staff create report titles.